- Each team put their algorithm bots against each other in a game of StarCraft. - The Algorithm Contest has secured its place as a part of Samsung SDS' developer-centric culture. Samsung SDS (CEO: Won-Pyo Hong, www.samsungsds.com) announced on September 13th that it held the 'Algorithm Contest 2018' which was participated in by a total of 270 teams and 631 employees at the Jamsil Campus. The Algorithm Contest, which has been held annually since 2013, is a contest in which participants compete in computer games using bots with applied algorithms instead of humans. Through this competition, Samsung SDS will enhance the development ability of its employees and review the source code of the team that has achieved excellent results after the competition and share the know-how of winning. This year, we selected the StarCraft game, which was the most popular game among Samsung SDS employees according to a survey. APM (Action Per Minute), which means the speed at which commands are issued per minute during StarCraft, is less than 100 for beginner, and about 400 to 500 among pro-gamers, while the bot developed by Samsung SDS employees is capable of commanding 5,000 actions per minute. Of the 270 teams that participated in the contest this year, the 'Cloaking on the Way Home' team won the final as the Zerg Swarm with a total of 324 victories (489) and a 66% chance of winning. 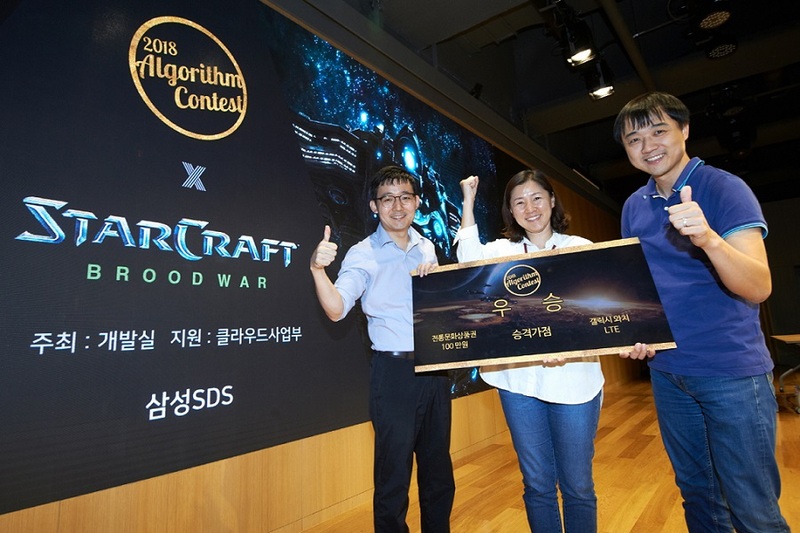 The team leader, Dae-Hee Lee, said, "The Algorithm Contest is an unique culture of Samsung SDS and it is so thrilling when the code that I created has been implemented as an actual strategy in the Starcraft game." 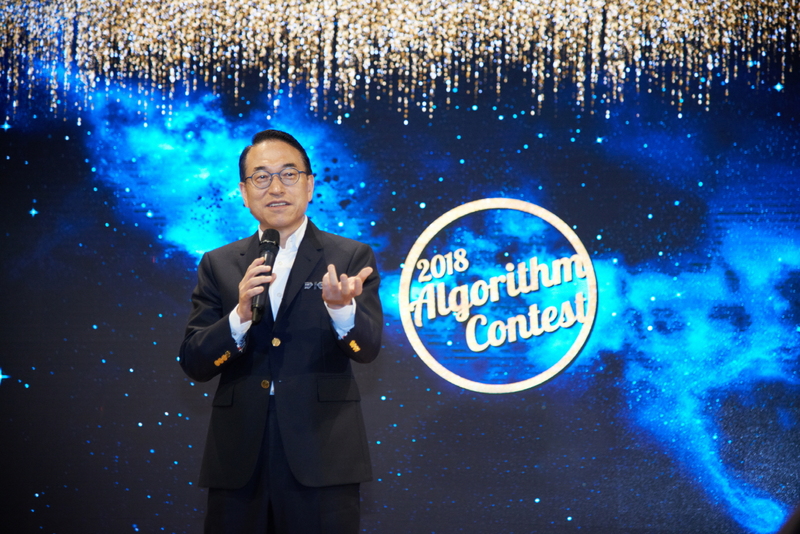 Samsung SDS President & CEO, Dr. WP Hong, gives words of encouragement at the 'Algorithm Contest' held at the Samsung SDS Jamsil Campus on September 13. "We were able to see the capabilities of Samsung SDS developers," said Samsung SDS President & CEO, Dr. WP Hong, who encouraged the teams and awarded the winning team. He went on to say, "We will expand the program to enhance the developers' capabilities."